We are slightly obsessed with brain games at Practical Paw. Not only are they fun but they also give your furry friend a mental workout that is at least, if not more efficient at tiring them out than their regular walk. So we’ve collected some of our favourite stimulating games that you can easily do at home with just a few household items. If you and your dog are ready – let the games begin! You will need; A plastic bottle and string. Carefully pierce two holes opposite each other in the top third of the plastic bottle. Then thread the string through the holes so that you can suspend the container. You can use chairs, door handles or any other stable platform to tie the ends of the string to. Just make sure that the bottle ends up at a comfortable height for your dog. Put a few pieces of kibble in the bottle and encourage your dog to spin the bottle to get the kibble out. If you find it difficult to find two suitable places to tie the ends of the string, your dog can still enjoy the game if you don’t mind a few pieces of kibble going astray. Instead of suspending the bottle you can just place it on the floor with a few treats in it and allow your dog to work out how to get out the kibble. You may need to keep an eye on your dog if they are likely to chew the bottle as the sharp edges can cause sore gums. You will need; A collection of empty boxes, including one large box, newspaper and any (dog safe) containers. The more boxes and paper you have the more your dog will have to work for the food. The idea is to hide kibble in as many different boxes or containers as possible. Firstly, scrunch the paper up hiding some kibble in it as you crumple it. Place this in the bottom of the large box creating the first layer. Continue to add kibble into each of the boxes and containers and put them into the large box with more crumpled paper. Once you have finished layering your box, close the lid and let your dog start digging for treasure! 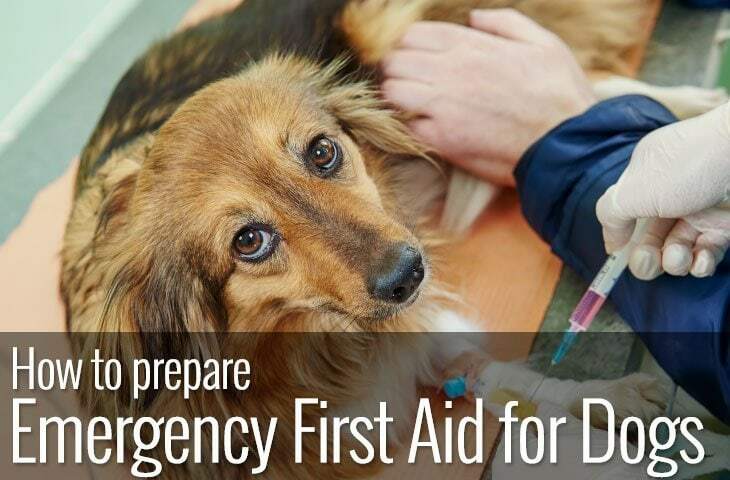 The first time you do this for your dog, you may want to make it slightly easier. 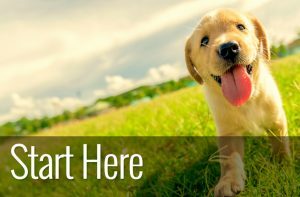 Mental stimulation for dogs is important, but you don’t want to make it so difficult that your dog gets frustrated and gives up. You will need; A muffin tin and six tennis balls. This game requires a bit more interaction on your part but is fun for both you and your dog. You can either place a treat in each of the muffin cups or just in a couple of them. Once the treats are in the muffin tin, cover all the cups with a tennis ball. The aim of the game is for your dog to indicate the ball that is hiding the treat. If they nudge it or pick it up, then they win the food. Your dog may take some time to work out how to play the game. So you might need to help your dog initially, but once your dog gets it, it’s great fun for them. If you don’t have access to a muffin tin, you can play this game with an egg carton and crumpled paper. Using an egg carton as an alternative is great for smaller dogs. You will need; Tasty treats, and that’s all! This game is one of our particular favourites, as once your pup has the hang of the game you can extend the search all over the house, into the garden and beyond. As this game engages one of your dog’s most powerful natural instincts, most dogs find it exceptionally fun to play. Dog’s love to sniff and what’s more, sniffing is tiring! If your dog is motivated by toys rather than food you can still take part in the game. Show your dog their favourite toy, hide it and then engage in some play once your dog has found it. You will need; A bowl, string or ribbon and a long box. You will need to attach the ribbon or string to the bowl using tape or to tie it around the bowl. It just needs to be secure enough so that the dish can be pulled along. Put something delicious in the bowl and place it in the long box with the ribbon or string poking out so that your dog can see it easily. The aim of the game is for your dog to work out that to get the bowl out of the box and gain the treat they need to pull the string. 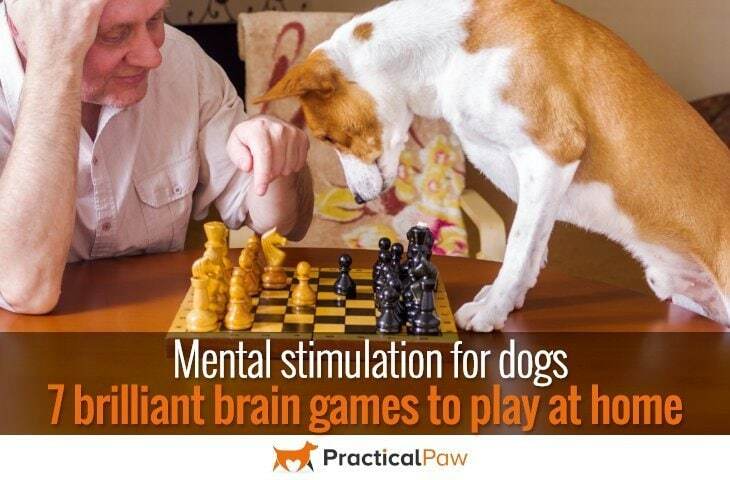 This game is quite an advanced, so if your dog is new to brain games try a simpler version first. For example, you can put the food bowl nearer to the front of the box. Or if your dog already plays with a rope toy you can attach that to the dish instead of ribbon and encourage them to pull it. You will need; A toilet roll holder or milk carton. This game is really simple if a bit messy. None the less it is a great way of giving your dog two of their favourite things, food and something to chew. However, keep an eye on your dog if they are likely to eat the containers. For this reason, this game is less suitable for puppies. If your dog finds this game easy, then you can make it more difficult by adding extra containers, much like the adventure box game above. You will need; A towel and treats. Sometimes the simplest games are the most fun. Grab a towel, lay it out and place treats along the centre. Roll the towel up and then let your dog use his nose to unroll it, finding the food as they go. Genius! This game is great for puppies as there are no hard edges. If your dog finds it too difficult though you can just crumple up the towel and hide treats in the folds for your dog to find. How did we do? 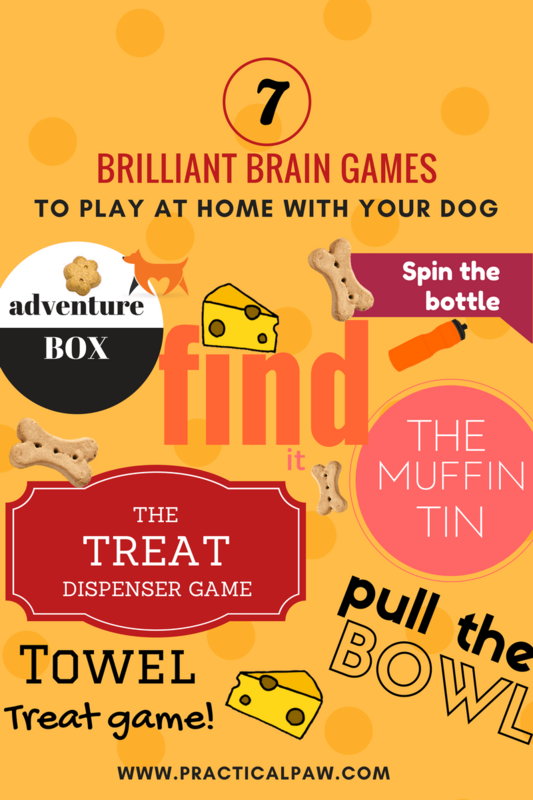 Did we leave out any of your favourite brain games for dogs? 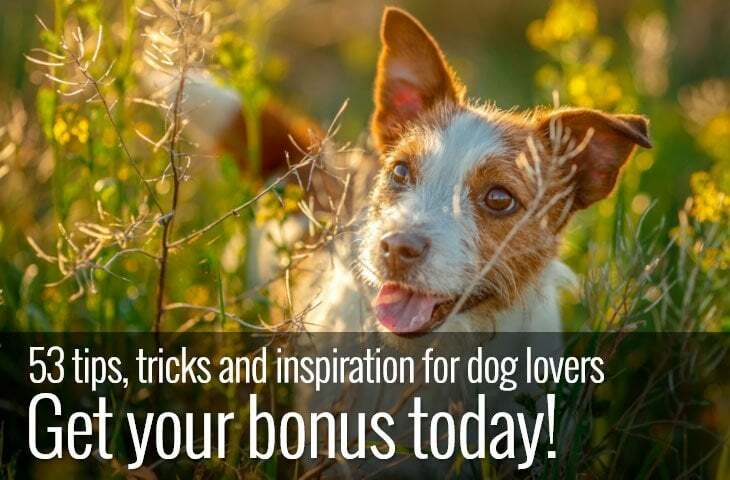 There are so many ways to enrich your dog’s day with food or toy challenges. Mental stimulation for dogs is at least as important as physical exercise. 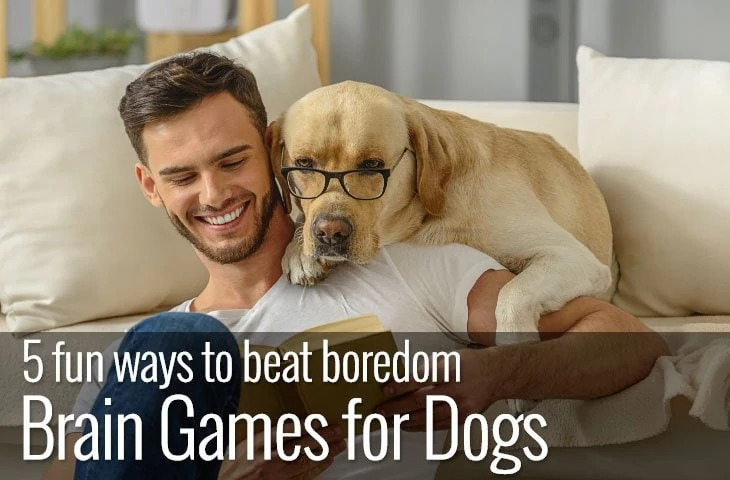 And as these games take very little time to prepare but provide your dog with a good brain workout they can be fitted into even the busiest of days. So keeping your dog happy and healthy has never been easier. Save those empty toilet roll holders and cardboard boxes and provide your dog with hours of fun.